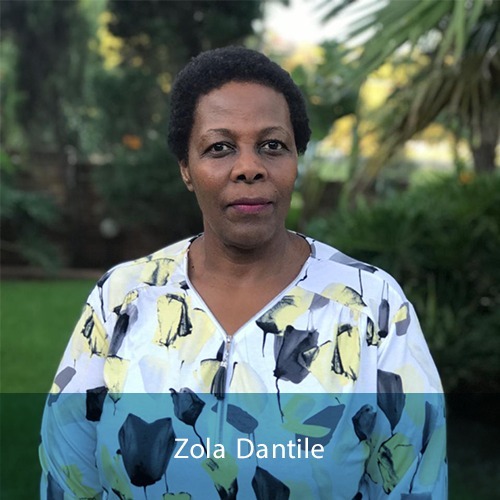 Zola Dantile obtained a BSc degree in Physiotherapy in 1986 at the Medical University of Southern Africa, Pretoria in South Africa. She furthered her studies at the University of South Africa obtaining a Higher Education Diploma and completed a MSc. Physiotherapy in 2000. A Physiotherapist is an expert in the prescription of the "best exercises" for you and the most appropriate "exercise dose" for you depending on your rehabilitation status. Your physiotherapist will incorporate essential components of different fundamental movements and exercise physiology to provide you with the best result aimed to improve your mobility and overall body and mind function if affected by a condition or injury.